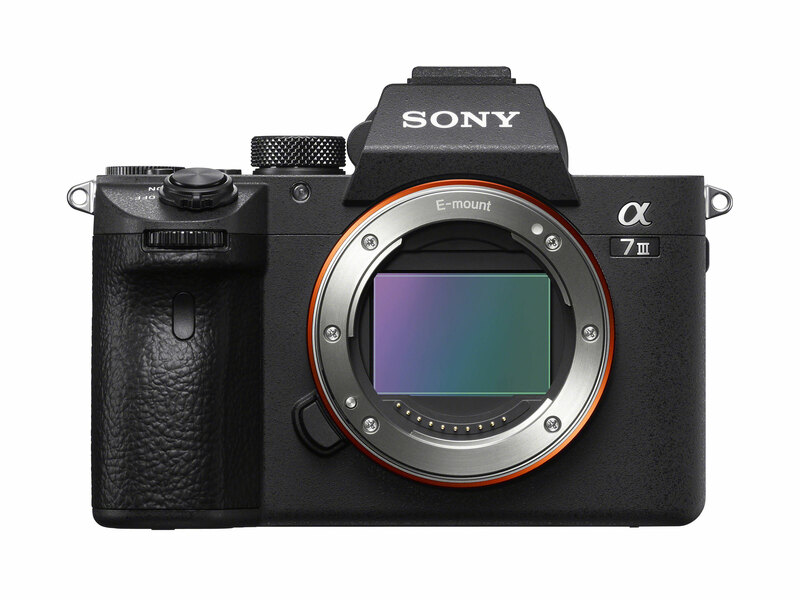 Sony launched its Alpha 7 series in October 2013, and for the last 5 years, it’s really been the only major player in the full-frame mirrorless camera market. And it has done incredibly well, even claiming the number one spot for sales of full-frame cameras of any design. That’s no mean feat, given how Canon and Nikon had dominated the market. 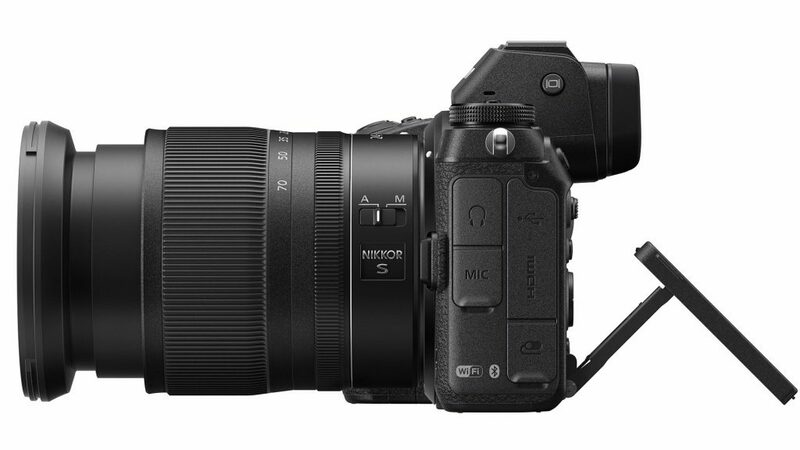 However, recent arrivals from Canon in the form of the EOS R, and from Nikon in the forms of the Z6 and Z7, plus two new full-frame cameras set to come from Panasonic in early 2019, mean that Sony will no longer have the full-frame mirrorless camera market to itself. That’s great news for photographers, as they now have a choice of lens mounts, handling, and interface. The competition should also help keep prices down and drive innovation. And let’s not forget that Leica is also in the full-frame mirrorless camera market. It recently introduced two new versions of the M10 digital rangefinder, the M10-P and M10-D. 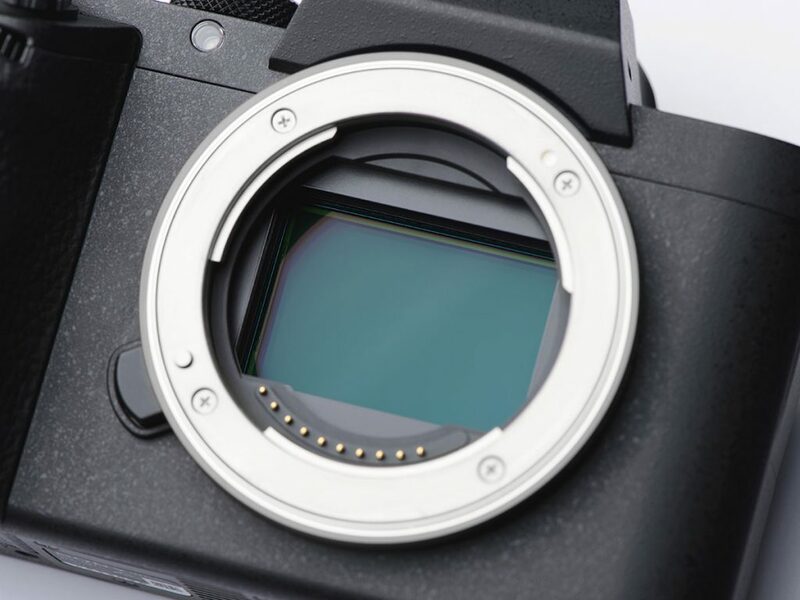 They all use the same 24Mp full-frame sensor, but a new mechanical shutter mechanism means the latest incarnations are close to silent in operation. With mirrorless full-frame cameras clearly on the rise, it makes sense to have a look at the advantages they offer over their DSLR equivalents, as well as the challenges the concept can create for camera engineers. The lack of a mirror is the most obvious difference between a mirrorless camera and a DSLR, and this brings with it a number of advantages. Camera manufacturers are not yet exploiting all of these advantages, but over time we should expect to see all the features and functions described below in production models. For a start, mirrorless cameras obviously have no mirror vibration, reducing the risk of camera shake and blur during longer exposures. Without mirror vibrations, it’s also less complicated to design an efficient optical image stabilization system (OIS), as it’s a lot easier to compensate for low-frequency motion (such as hand shake) than the high-frequency vibration a mirror would produce. In combination with an electronic shutter, no mirror also means that cameras can achieve true zero shutter lag. With buffering technologies similar to the ones already used in some smartphones, even negative shutter lag is possible—that is, the camera records images even before the photographer presses the shutter button. In real terms, this means that multi-frame stacking features, such as High Dynamic Range (HDR), Temporal Noise Reduction (TNR), and focus stacking, can stack and merge frames that were captured before, during, and after pressing the shutter, achieving better results. This type of “real-time” stacking is already widely implemented in high-end smartphones, but is not yet available in the current generation of mirrorless cameras. Thanks to electronic shutters, many mirrorless cameras can also shoot completely silently. This means you can take photographs with a mirrorless camera in places like the tee of a golf tournament, where a DSLR’s shutter sound would disturb the players. Current mirrorless cameras use a combination of mechanical shutters and electronic rolling shutters (ERS), with the latter used for silent shooting or when shutter speeds are required that are not offered by the mechanical shutter. But ERS has some disadvantages, too: since the sensor captures the image line by line, images of moving subjects can show deformation and light-banding under certain light sources. Global shutters do away with these issues and would therefore reduce the need for a mechanical shutter. They also allow for easier flash-syncing, and eliminate the jello effect during video recording. Global shutters are already commonplace in high-end smartphones, but are not yet found on full-frame mirrorless cameras. The technology exists, however, and it should only be a question of time before it makes its way onto mirrorless models. The advantages of a global shutter are most noticeable when recording video. The removal of the mirror mechanism allows for shorter flange-back distances (the distance between the rear element of the lens and the image sensor). The shorter the flange-back, the smaller the dimensions of a lens can be. This also means that the design of the entire camera system can be smaller and lighter. 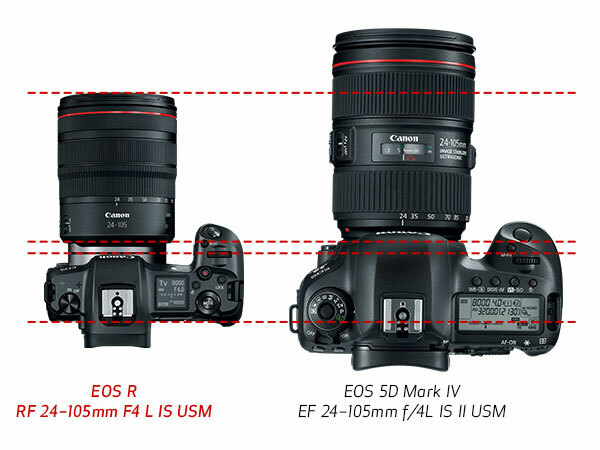 In the case of the new Canon and Nikon models, the size difference is currently more obvious in the camera bodies: as the new Nikon and Canon lens mounts are larger than those on their DSLR counterparts, the resulting lens diameters are larger than those for equivalent DSLR lenses. The manufacturers claim that the larger diameters allow them to design faster lenses, but the bigger mounts likely also help maintain compatibility with the old lenses (via adapters). On the plus side, the new lenses tend to be shorter. Mirrorless cameras come with some autofocus-related benefits and challenges as well. 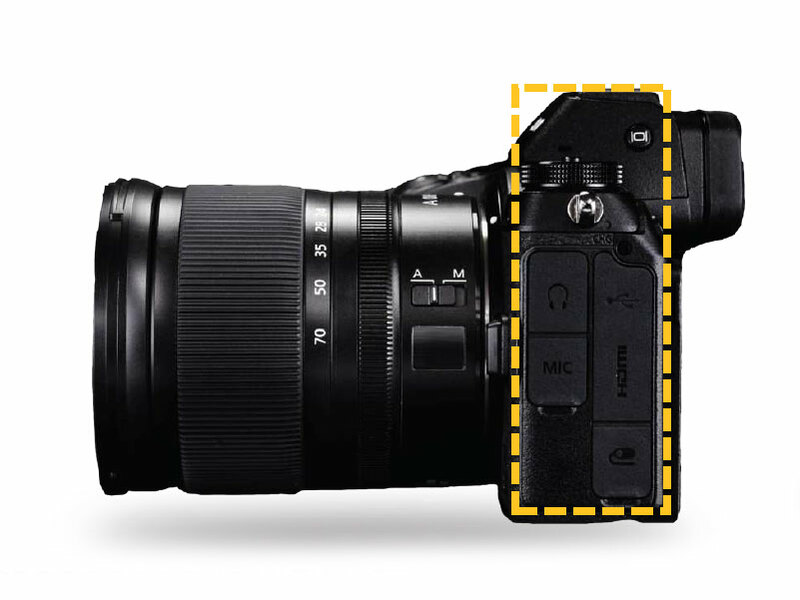 DSLRs deploy dedicated phase-detection focusing hardware that offers very fast AF performance, thanks to high-frequency (many times per second) phase-detection sampling that is disconnected from the actual image capturing process. Mirrorless cameras have to make do without this dedicated focusing hardware and instead must rely on the main image sensor for focusing. Contrast detection through the main sensor is a fairly slow method, though, because it works at the frequency of the sensor (generally fewer than 30 frames per second), and focus adjustments can initially go the wrong way before the camera detects a reduction of sharpness and the lens focuses in the opposite direction. 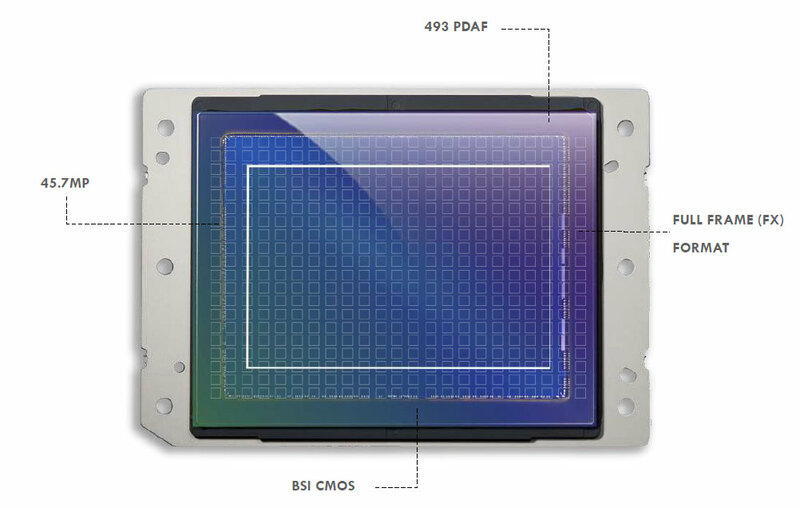 The Nikon Z 7 unit features 493 PDAF points that are distributed across the sensor. This is why manufacturers had to implement phase detection directly on the main image sensor for use in mirrorless cameras. Autofocus systems in current mirrorless cameras therefore use phase-pixel or dual-pixel technology in addition to contrast detection. With phase pixels, a number of phase-detection sites are distributed across the image sensor. With dual-pixel technology, every pixel on the image sensor is phase-enabled. When using these autofocus systems, phase detection offers fast performance in most situations, but contrast detection can still be used when phase detection is less reliable—for example, in low light, or to fine-tune the results of phase detection. Phase pixels and dual pixels also make autofocus during video recording a much more reliable option. Without a mirror, it’s impossible to design an optical viewfinder that accurately displays the framing of the final image. This is why mirrorless cameras have to rely on electronic viewfinders (EVF) that draw their signal from the imaging sensor. An advantage of this is that on Sony, Nikon, and Canon full-frame mirrorless cameras, you see the impact of many camera setting changes, such as exposure, white balance, and color settings in the viewfinder. 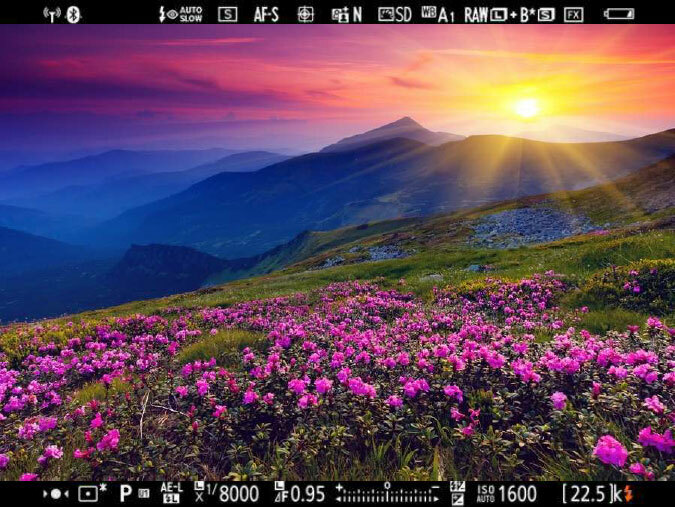 Some settings, mainly those relying on multi-frame stacking algorithms, cannot be previewed yet on mirrorless cameras (some smartphones, however—for example, the iPhone XS—can already preview HDR capture). This means you won’t see the effects of an HDR mode or temporal noise reduction in the preview image of an EVF. The Nikon EVF offers Quad-HD resolution (3.6 million dots). You can preview many camera settings in the EVF. So why has it taken so long for major brands like Nikon and Canon to adopt full-frame mirrorless cameras? There might be strategic motives, but there are also a few technological reasons. For example, electronic rolling shutter technology has improved over the last few years, offering faster performance and readout speeds than previous iterations, and hopefully global shutters will soon provide even better performance. The distance between the image sensor and the rear element of the lens (flange-back distance) on mirrorless cameras is shorter than on DSLRs. This means that at the edge of the sensor, the incoming light hits the sensor surface at a much flatter angle, so sensor pixels need to be sensitive enough to deal with a large Chief Ray Angle (CRA), and this has only really been the case since the advent of backside illumination technology (BSI). In addition, camera makers had to wait for sensor-based phase detection autofocus methods to become available and to perform well, as well as for solutions to some other issues that are inherent to the technology, such as color shading and phase pixel artifacts. A 16mm flange-back distance allows for a compact camera body on the Nikon Z models. We have already tested the latest Sony mirrorless full-frame cameras, and in the near future we’ll also publish the results of our in-depth sensor tests for the Canon EOS R, the Nikon Z6, and the Nikon Z7. In anticipation, let’s take a look at what each of them and the upcoming Panasonic Lumix S1R and S1 have to offer. For a long time Leica’s high-priced digital M rangefinder models were the only option if you wanted a full-frame camera without a mirror mechanism. At the more affordable end of the mirrorless camera scale, Japanese manufacturer Sony was one of the early movers with its APS-C sensor NEX series launched in 2010. Three years later, the company introduced its first full-frame mirrorless models, the A7 and A7R with E-mount, and ever since has occupied a leading position in the market for full-frame mirrorless cameras. 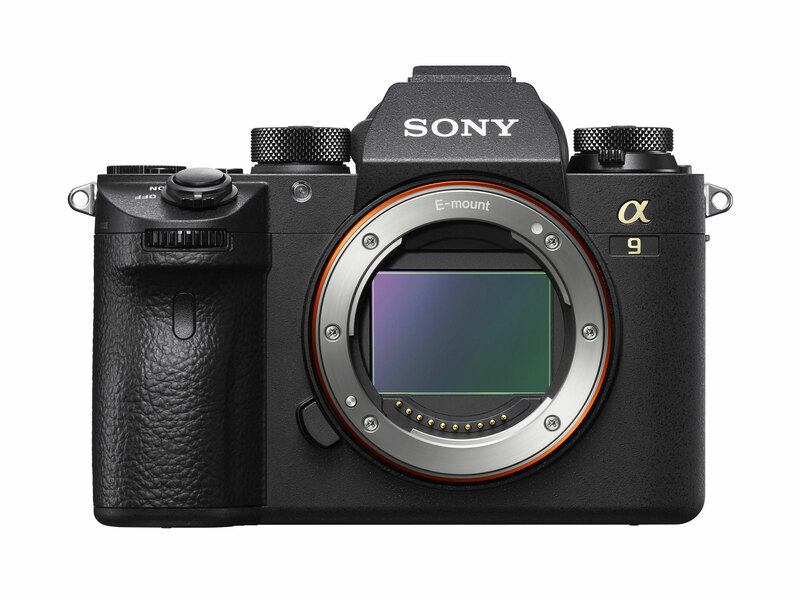 The Sony Alpha A9 is the company’s current flagship full-frame mirrorless camera. It comes with a 24Mp stacked CMOS sensor, and thanks to an electronic shutter, offers 20 fps burst shooting without the viewfinder ‘“blackout” you’d experience with a conventional DSLR. Like Canon and Nikon, Sony is not yet using a global shutter on its full-frame mirrorless models but the A9’s stacked Exmor RS sensor offers performance that comes pretty close to a global shutter. The sensor does still read data out line by line but this happens at such fast speed that hardly any distortion or banding are noticeable; this gives the Sony an edge over most other full-frame and even APS-C mirrorless cameras. The camera’s autofocus system features 693 phase-detect points covering 93% of the image area, and the sensor sensitivity ranges from ISO 50-204,800 when fully expanded. Five-axis in-body image stabilization is on board as well, and the large EVF has 3.7 million dots. In video mode, the A9 can record oversampled UHD 4K video. In the Sony hierarchy, the A7R III is a tier below the A9, but features a higher-resolution 42.4MP stabilized BSI CMOS sensor. It can shoot bursts of up to 10 fps (or 8 fps with no viewfinder blackout), and a refined autofocus system promises better subject tracking performance. The design hasn’t changed much, with the main additions being a higher resolution EVF, a joystick for adjusting the focus point, dual SD card slots, and a higher-capacity battery. Video can be captured at UHD 4K (30p) using the full width of the sensor or a Super 35 crop, and a 1080/120p option is also available. The A7R III supports S-Log3 and Hybrid Log Gamma profiles, among others. The Sony A7 III is a 24MP full-frame mirrorless camera that incorporates many of the features and improvements found in the A7R III. Primary among these are a BSI sensor, along with the larger capacity “Z” battery, AF joystick, and the company’s impressive EyeAF feature. Its 693-point AF system offers 93% frame coverage. Continuous shooting is offered at up to 10 fps with the mechanical shutter, and 5-axis in-body stabilization claims a 5.0-stop shutter speed advantage. Video recorded at 4K/24p is taken from a 6K region of the sensor, while 30p shooting comes from a roughly 5K region with a 1.2x crop. The camera offers both S-Log2 and S-Log3 gamma curves for shooting wide dynamic range scenes, and Hybrid Log Gamma for playing back directly on high dynamic range displays. The new larger-capacity battery boasts 710 shots per charge. The A7 III uses the same 2.36m-dot OLED viewfinder as its predecessor, giving a 1024 x 768 pixel view, rather than the higher-res version in the A7R III. 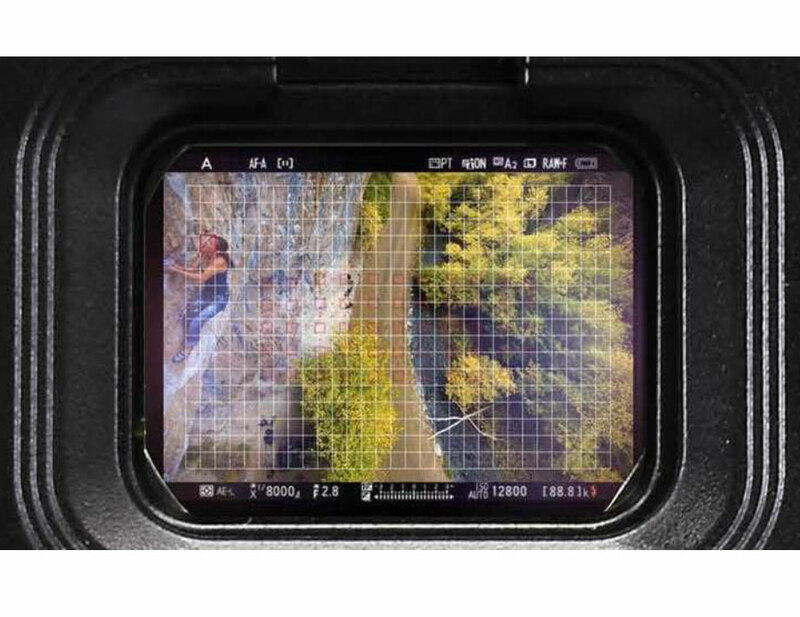 The viewfinder is complemented by an articulated 3″ 921k-dot LCD. Like Sony, Nikon chose to launch its full-frame mirrorless camera system with two cameras, the Z 6 and the Z 7. The build, handling control layout, and many of the specifications of the two cameras are identical. They each have a 0.5-inch 3690k-dot EVF and a 3.2-inch 2,100,000-dot tilting touchscreen, for example. Their key differences stem from their use of different sensors. The Z 6 has a 24.5Mp BSI sensor with an optical low-pass filter, whereas the Z 7 has a 45.7Mp BSI sensor without an optical low-pass filter. A secondary effect of the different sensors is that the Z 6 has a sensitivity range of ISO 100-51,200, expandable to ISO 64-102,400, whereas the Z 7’s range is ISO 64-25,600, expandable to ISO 32-102,400. In addition, the Z 6 has a faster maximum continuous shooting rate. It tops out at 12fps in its high-speed continuous (extended) shooting mode, whereas the Z 7 can achieve “only” 9fps. Capturing smaller files also enables the Z 6 to shoot a burst of around 35 lossless compressed RAW files, as opposed to 23 with the Z 7. Changing to shooting large, fine JPEGs extends the burst rate to 44 and 25, respectively. The two cameras use on-sensor PDAF autofocus, but the Z 7 has 493 AF points, whereas the Z 6 has 273. The AF points cover about 90% of the frame, so subjects can be tracked close to the edges. 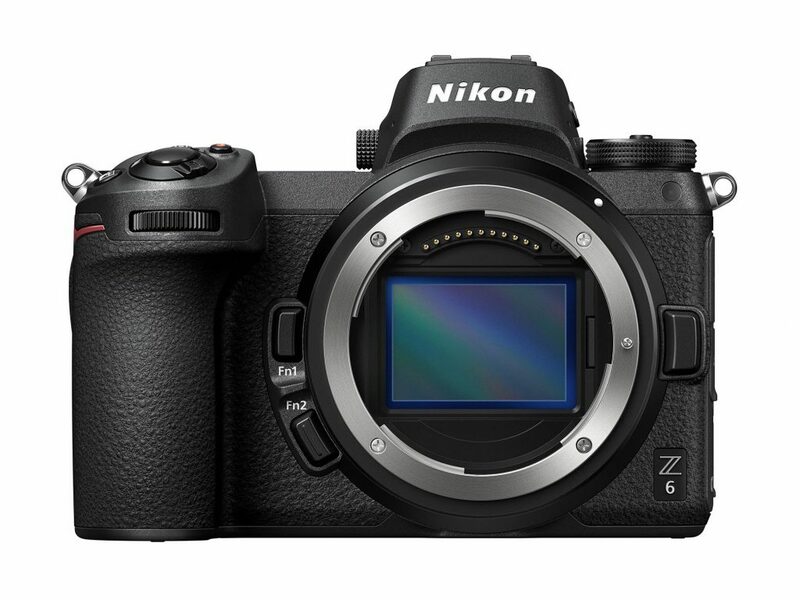 Nikon claims the Z 6’s AF system has a sensitivity range of -2 to +19EV, while the Z 7’s is sensitive between -1 and +19EV, down to -4EV with a f/1.8 lens. Both cameras are capable of shooting UHD 4K (3840 x 2160) video at up to 30p, and Full HD (1920 x 1080) video at up to 120fps. As they use the full sensor for video recording, you get the benefit of full-frame wide-angle lenses. Also for video mode, both Z 6 and Z 7 deliver 4K N-Log, 10bit, 4:2:2 HDMI output, a significant improvement versus the Nikon D850. To summarize the Z 6 and Z 7, the Z 7 is designed for capturing lots of detail, whereas the Z 6 is more of an all-rounder. 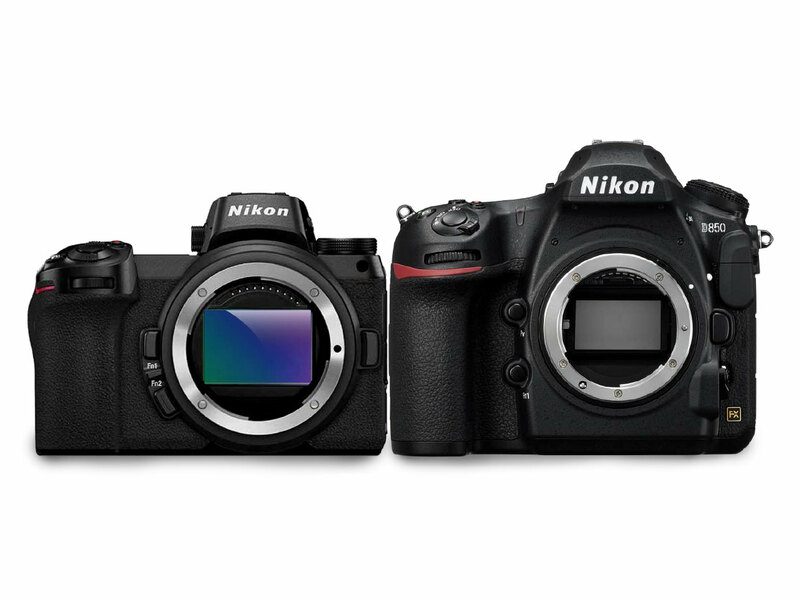 In many respects, the Z 7 is a mirrorless Nikon D850, while the Z 6 is a D750. 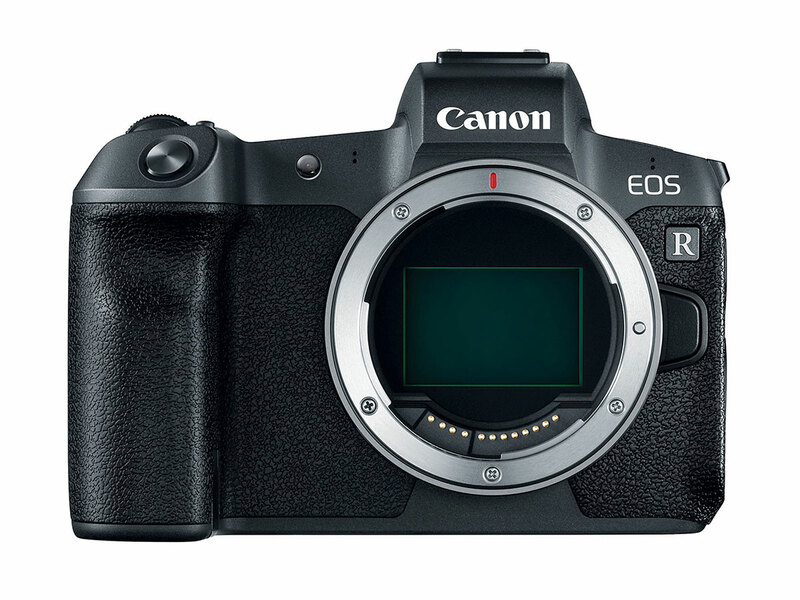 Canon opted to introduce just one full-frame mirrorless camera, the EOS R. While Canon bills this as having the guts of a Canon EOS 5D Mark IV with the addition of a DIGIC 8 processing engine, many commentators say it’s closer to a Canon EOS 6D Mark II. 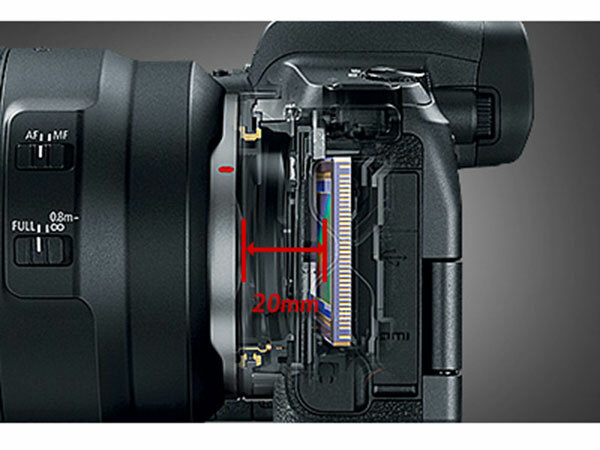 Inside, the EOS R has a 30.3Mp sensor, which is not the same as the one in the 5D Mark IV. Naturally, it’s a dual-pixel CMOS AF device that uses phase detection focusing. In fact, the EOS R has an incredible 5,655 user-selectable AF positions, and they cover 100% of the frame vertically and 88% horizontally. Canon says this AF system is sensitive down to -6EV (only when using an f/1.2 lens), and it’s proving very capable in low light. However, in continuous AF mode, the shooting rate is just 5fps — 3fps with AF tracking priority activated. If you don’t need continuous AF, the EOS R can shoot at up to 8fps for 100 JPEGs, 78 C-RAW images, or 47 RAW files. Both Canon and Nikon have drawn a lot of criticism for giving their cameras a single memory card slot. While Canon has plumped up for UHS-II SD media, Nikon has gone with the more dependable XQD media. Like Nikon, Canon has enabled lots of control via the 3.15-inch 2.1-million dot touchscreen on the back of the EOS R, which is paired with a 0.5-inch 3.69-million dot EVF. Disappointingly, Canon has limited the EOS R’s 4K/30P video capability with a 1.7x crop factor, thus using only a central portion of the sensor for video recording. This means you don’t get the full depth-of-field advantage of full-frame lenses when shooting video. At Photokina, Panasonic made a development announcement about two full-frame mirrorless camera coming in early 2019. The full details are yet to be revealed, but the S1R is set to feature a 47Mp sensor, while the S1 will have a 24Mp chip. The two cameras will also be the first full-frame mirrorless models to feature 4K 60p/50p video recording and Dual IS (image stabilization). They both also have a triaxial tilt LCD which is thought to be touch-sensitive. And in a one-up on Canon and Nikon, the S1 and S1R will have two memory card slots, one for XQD memory cards and the other for SD media. Excitingly, Panasonic is going to use the Leica L-mount, originally introduced in 2014 with the Leica T, and which comes with a 51.6mm diameter and a 20mm flange-back distance, for the new cameras. Earlier this year Leica formed the L-Mount Alliance, licensing Panasonic and Sigma to use an upgraded version of the L-mount for their own cameras, which should pave the way for an extensive camera and lens ecosystem that reaches across several brands. It also means that there are already some high-quality lenses available. With the current generation of mirrorless cameras, manufacturers are not yet taking full advantage of the concept’s potential benefits. However, it is very likely that technologies that are already commonplace in high-end smartphones, such as global shutters, zero/variable shutter lag, and multi-frame stacking features, will make their way into mirrorless cameras in the short to medium term. These technologies have helped smartphones compete with conventional cameras; when combined with the large sensors and high-quality optics of mirrorless full-frame cameras, the resulting image quality could be on a level that is far beyond that of the current crop of conventional DSLRs. While manufacturers still might not have maximized the mirrorless concept’s potential, Sony’s current models and the recently-announced Nikon and Canon cameras have a lot to offer to photographers. And no doubt the same will be true for the upcoming Panasonic models. Sony’s A7 series is credited with helping bring mirrorless cameras to the attention of high-end enthusiast and professional photographers. 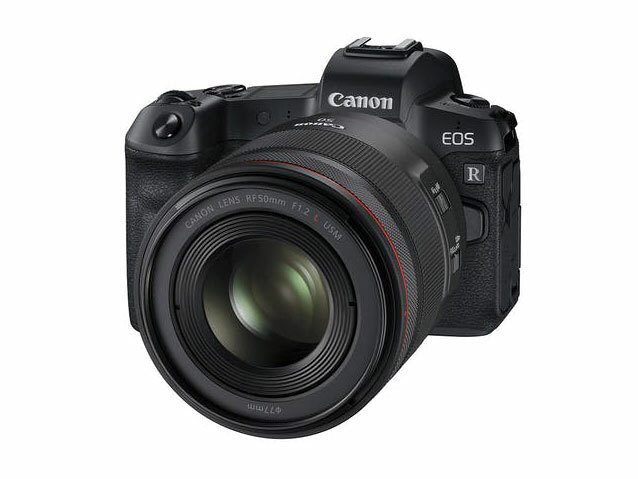 And the A9 is considered competition for such professional-level cameras as the Canon EOS-1Dx II and the Nikon D5. Neither Canon nor Nikon has pitched their first full-frame mirrorless cameras at the very top end of the market, but they are strong contenders in the enthusiast field. 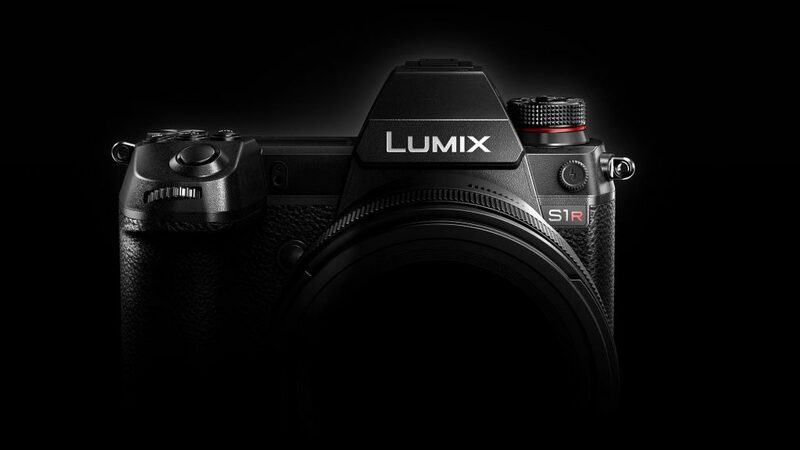 We’ve yet to see exactly where Panasonic will pitch the S1 and S1R, but as the company is setting up a professional photographer support system, it seems likely that they will be high-end models. In any case, if the S1 can harness the best features of the GH5 for a full-frame camera, it could be very successful. Whatever your allegiance in the photographic market, it’s a very exciting time. Canon and Nikon are both trying to hold onto their existing users by providing lens adapters, but by using a new lens mount, they increase the chances of photographers swapping to another manufacturer. This means there’s a lot at stake. Market forecasters were predicting that we’re a few years away from mirrorless cameras dominating the camera market, but these recent introductions and those to come in early 2019 look set to bring that time forward. With the exception of the Nikon D850, most of the conversation this year has been about mirrorless cameras, and it looks like this will continue into 2019. The future is mirrorless.